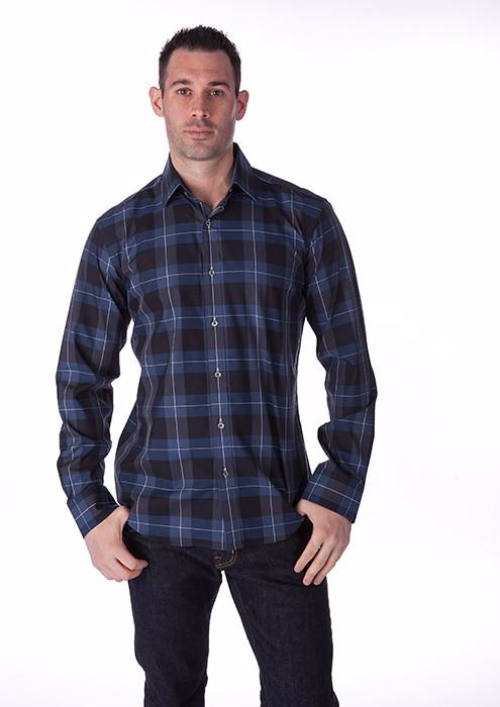 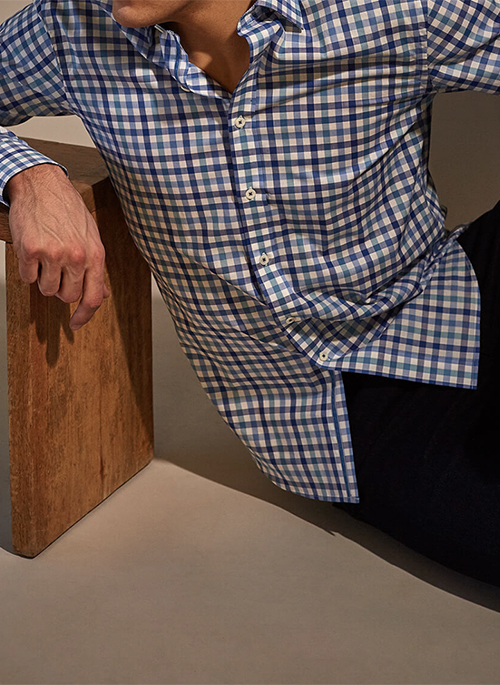 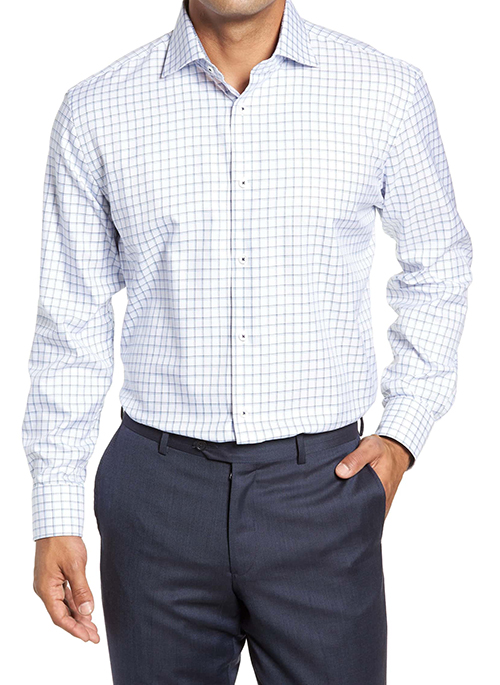 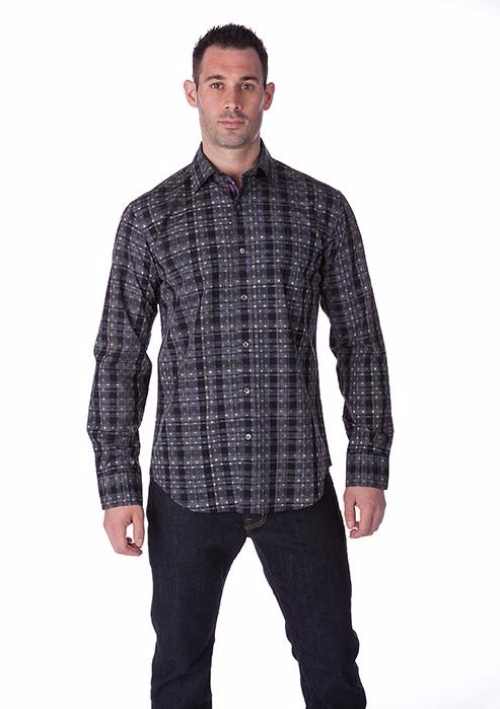 Shaped Fit Long Sleeve Mini Check cotton shirt with point collar and adjustable notched cuff. 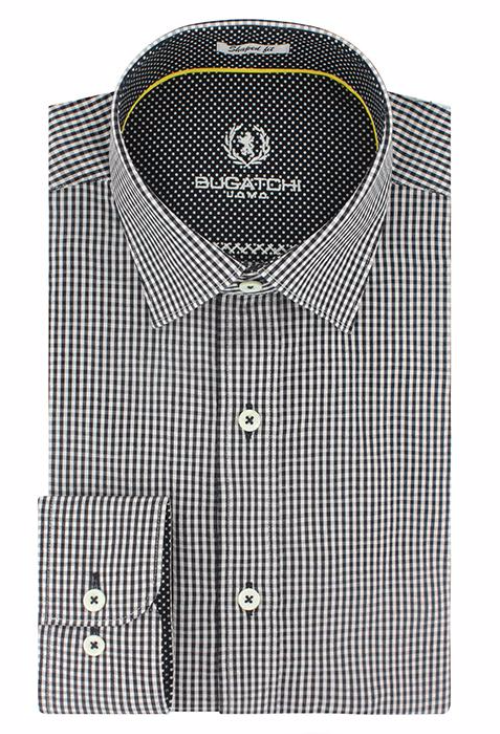 Fashioned in premium quality fabric with genuine mother of pearl buttons, contrast detail and a curved hem. 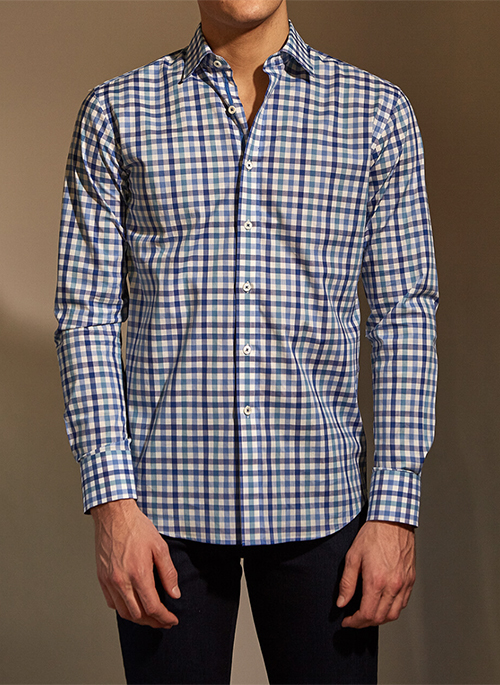 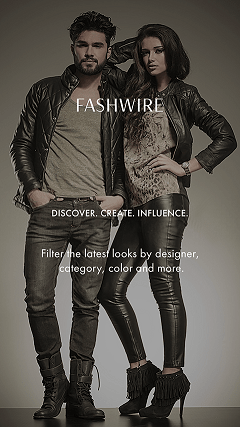 This impeccably tailored shirt is perfect for casual and night life dress codes.